Wild, sweet and tough. 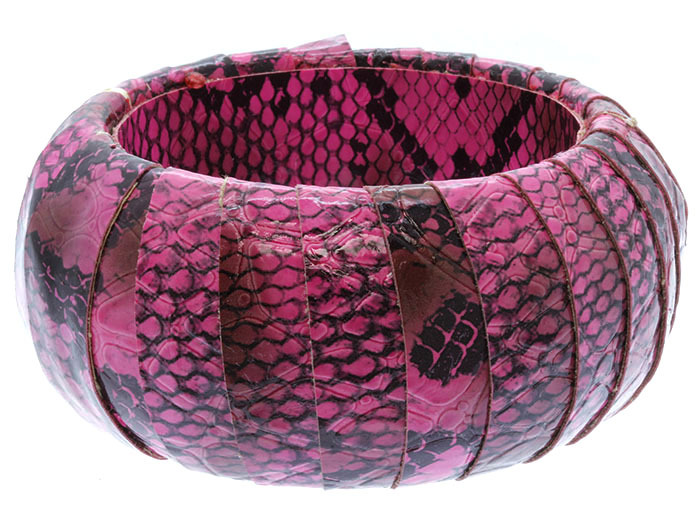 The Zara Bangle Bracelet pops in hot pink snakeskin print. Do it solo or team it with black crystals and leather for rock ‘n’ roll chic. We hope you enjoy shopping for online jewellery here with us today.